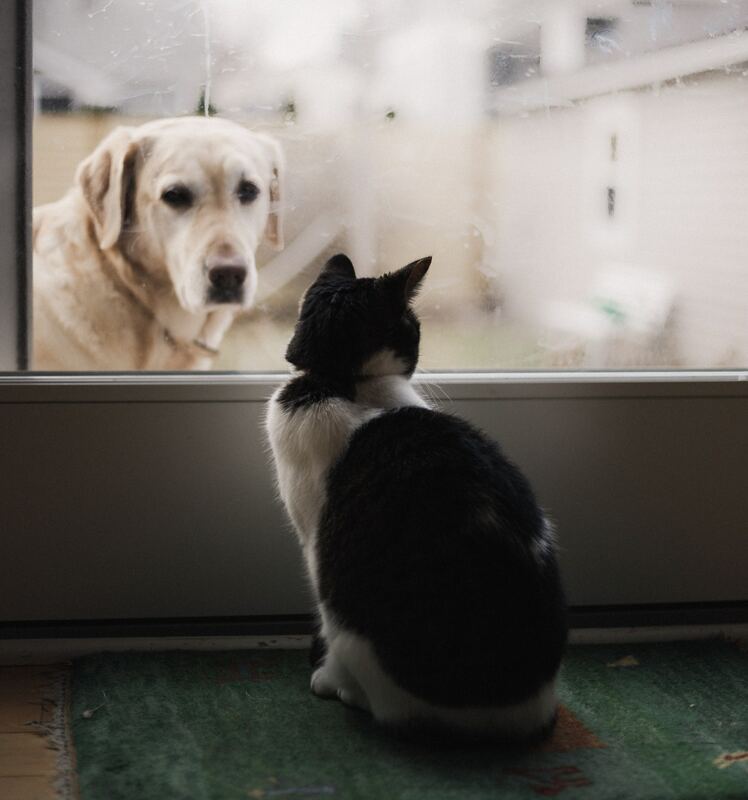 Are you the kind of person that says "hi " to a dog or asks your cat how their day was? 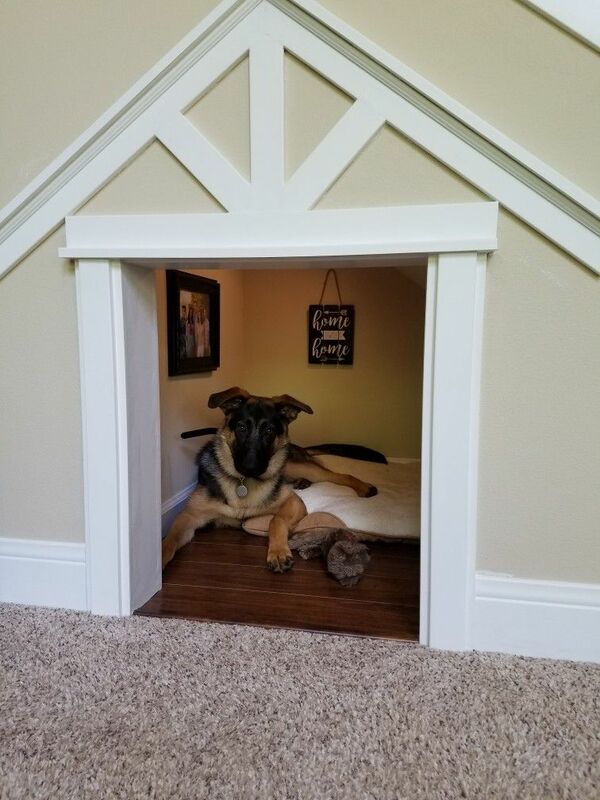 As the number of families with fur babies continue to rise, here at Merino Homes we are seeing more and more home designs that are evolving to suit the top dogs needs. 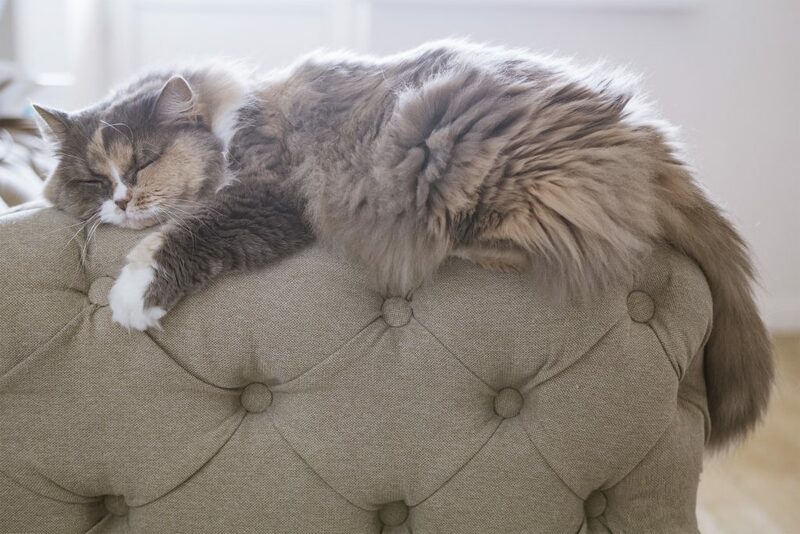 For these loveable additions to the family; whether it's a pampered pooch, kind kitty, or a not so furry friend it doesn't take long to figure out who rules the roost. House and Garden have quoted that there are approximately 9.2million houses in Australia and 5.7 million of them have at least one pet. When you love animals, of course you’re going to open up your home to three dogs, the stray kitten that needs a family and the rabbit your daughter begged you to get. 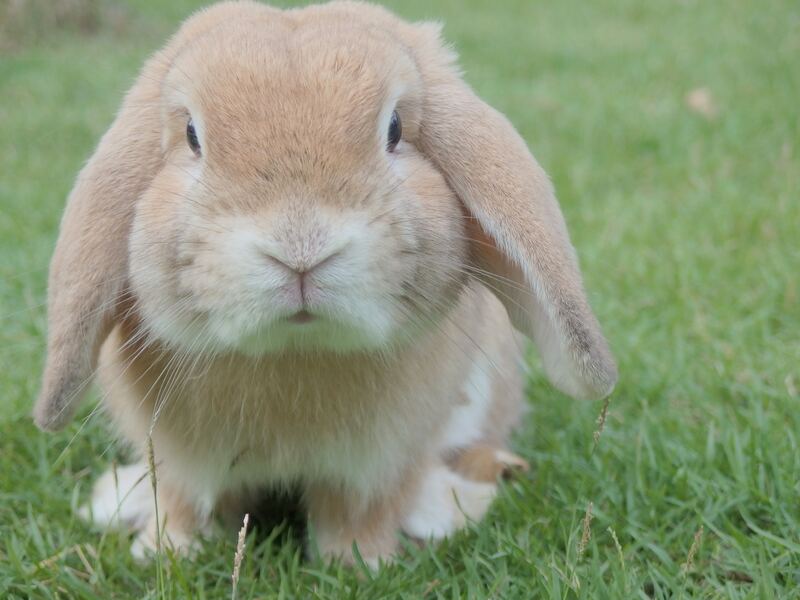 We share our homes with many furry and not so furry friends. 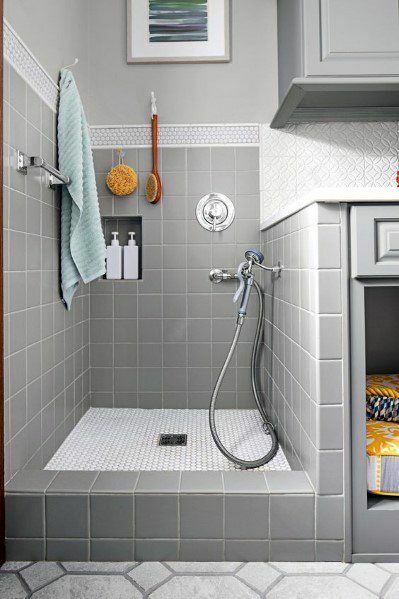 Why not make them part of your home design so that every thing has its place and doesn't feel like an add on. 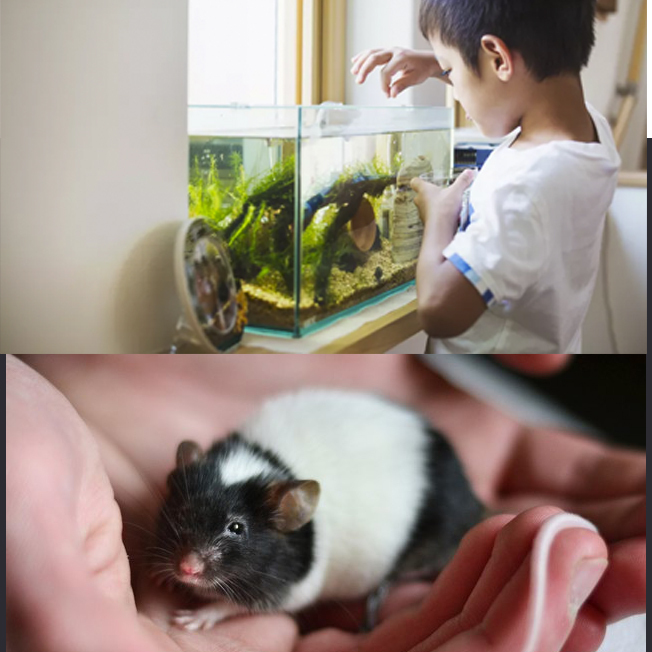 In Australia there are 8.7 millions homes who have fish whist another 2.5 million homes having other type of companion animals such as mice, guinea pigs, reptiles and more. 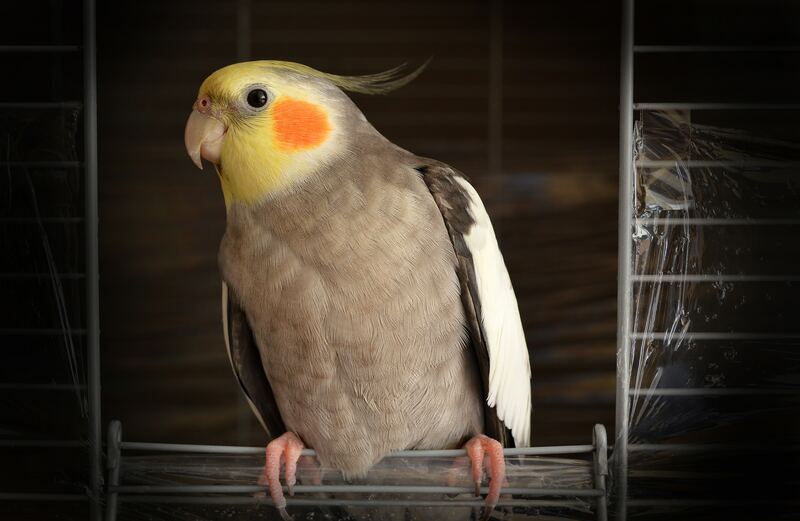 4.1 Million homes have pet birds, unlike the family dog or cat that has the run of the house, a bird can be safely kept in "their house" while you're away during the day or busy around your house. 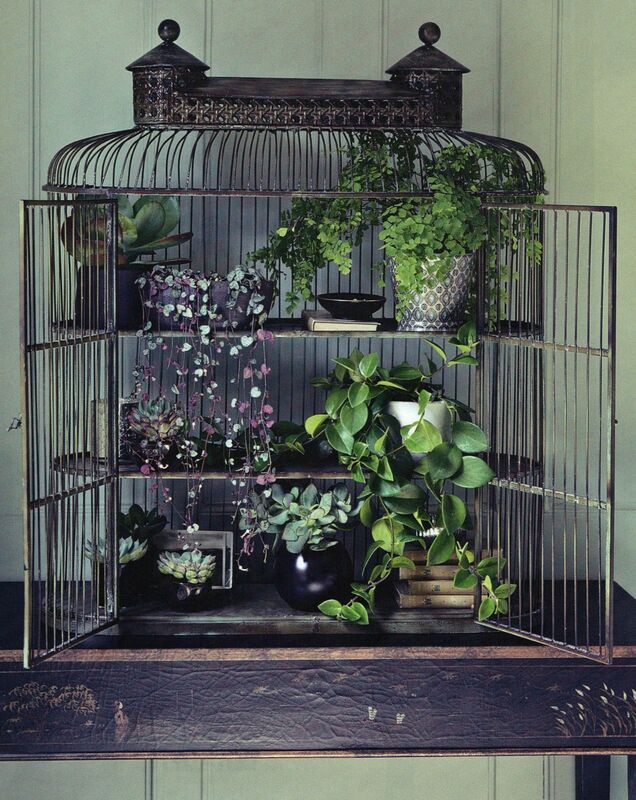 There are so many different and beautiful options for bird cages now, just keep in mind where you are keeping them and if your cage selection is the safest option. 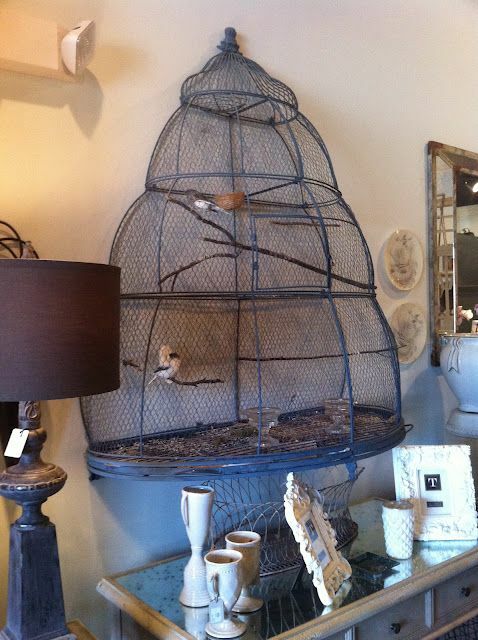 If the bird isn't the right fit for the family you can always repurpose your bird cage in your garden or in the home for decoration. 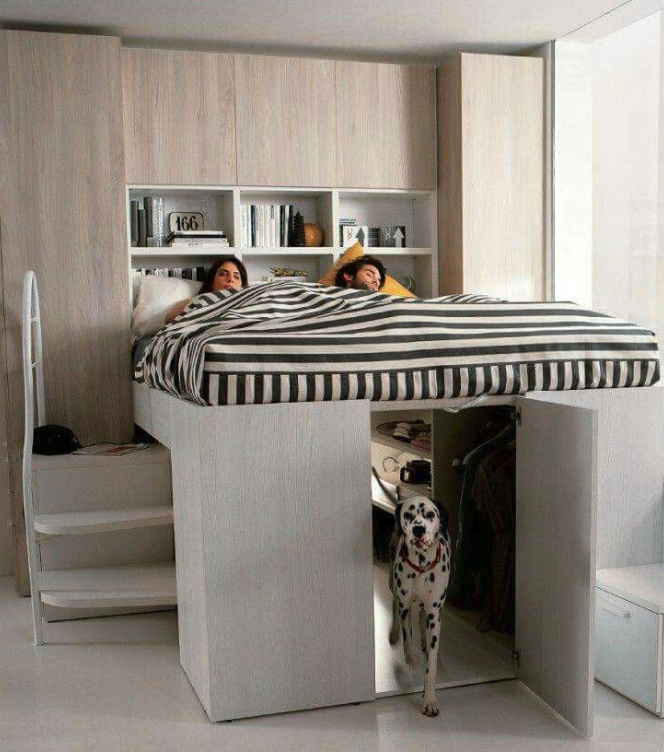 FINDING IT HARD TO MAKE SPACE FOR ALL YOUR PETS NEEDS? 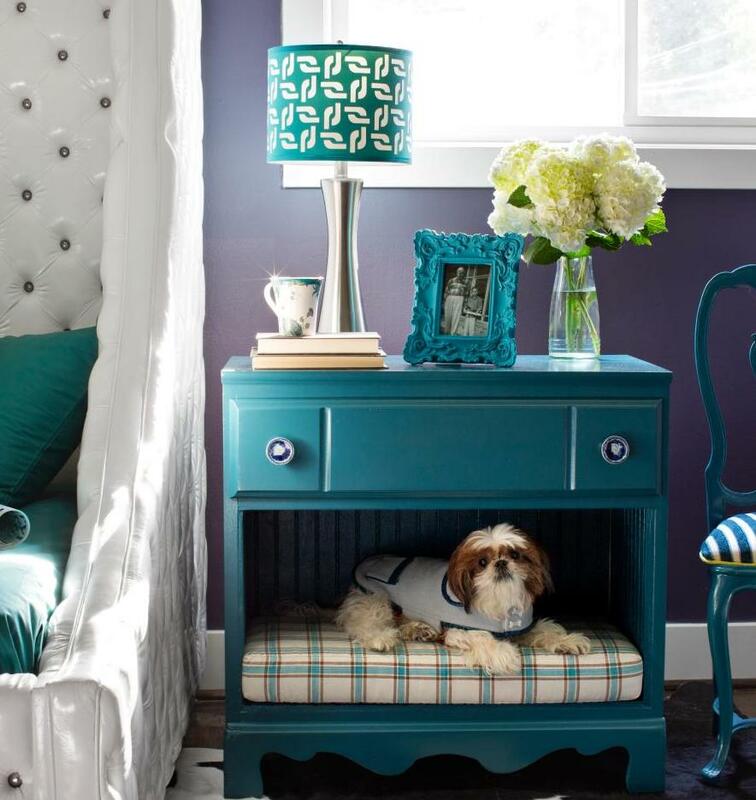 Like people pets take up a lot of space with their food, bowls, kennels, toys and, lets not forget, their accessories. 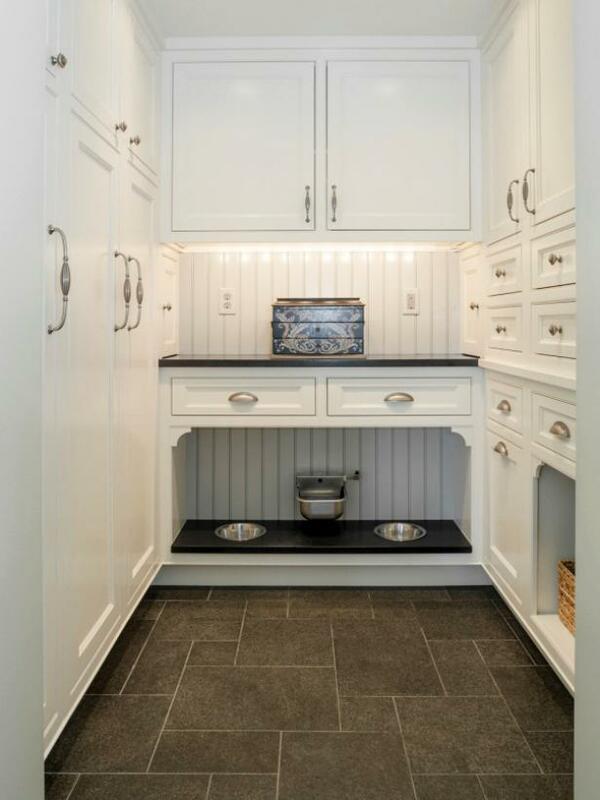 There are many ways that these storage needs can be incorporated into your house design, whether it be a cabinet or a room, you can cater for your pets every need whilst still having a stylish home. 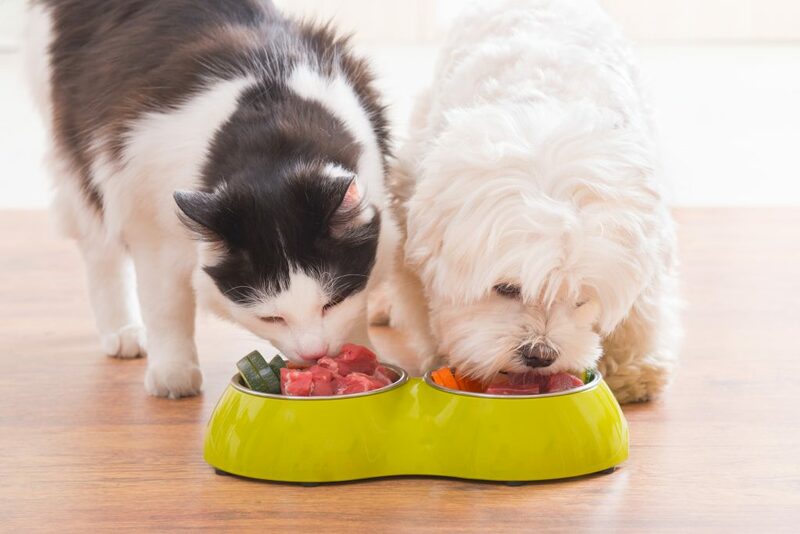 These feeding stations are fantastic, they offer a great amount of storage for your pets accessories, food and on even has a tap to easily refill the water bowl. 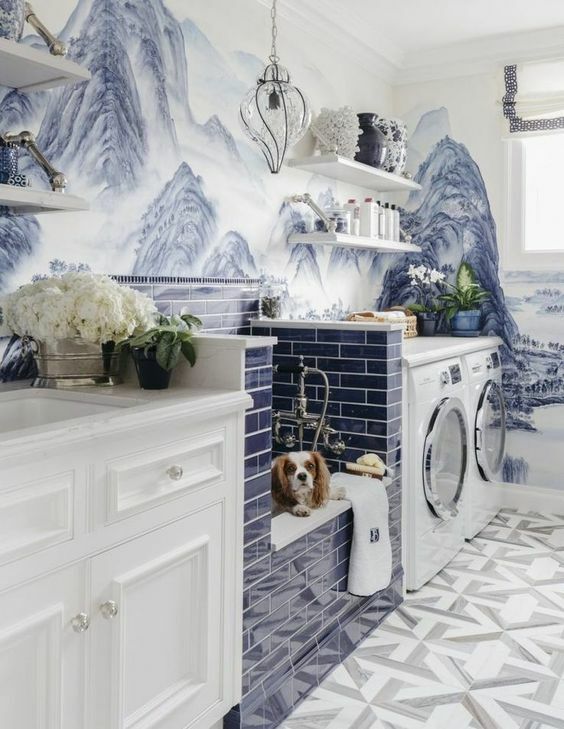 The first photo of a wash bay built into cabinetry saves space in the room, the special touch of dog wallpaper shows that this owner is a big pet lover. 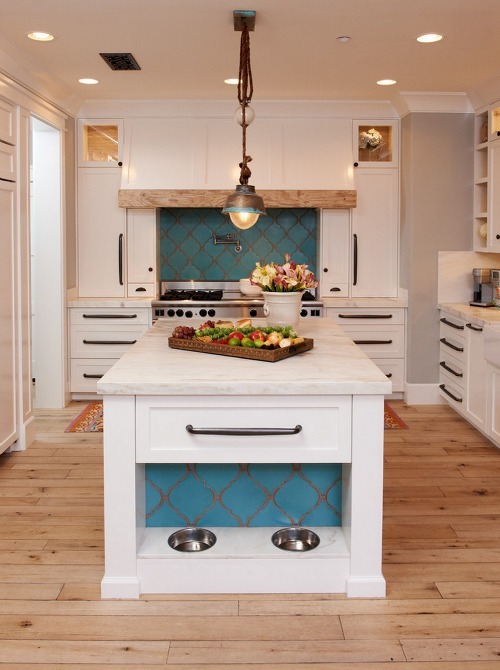 Second photo is the ultimate pet lovers kitchen island with matching stone for the pampered pet. 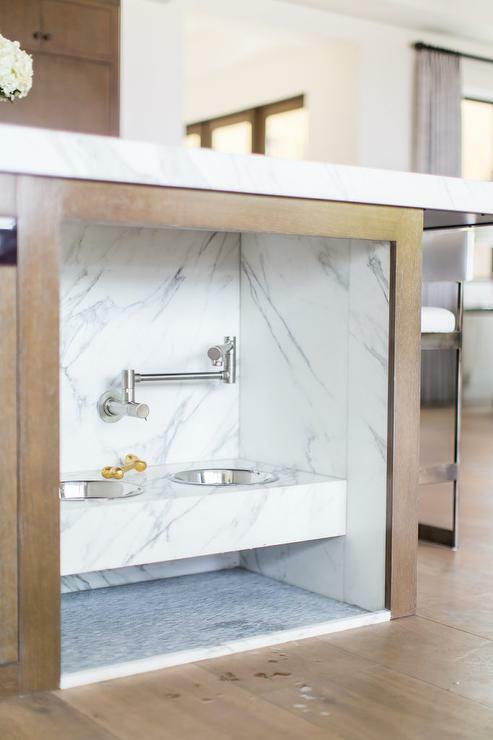 If you already have a beautiful home and need a pet station than photo number 3 is a great example of a custom design cabinet for all your pets needs. Do you have a dog or cat that keeps you awake all night because they don’t want to be alone? We like to say it is the pets but in truth some owners don't like to be separated from their pets at night. 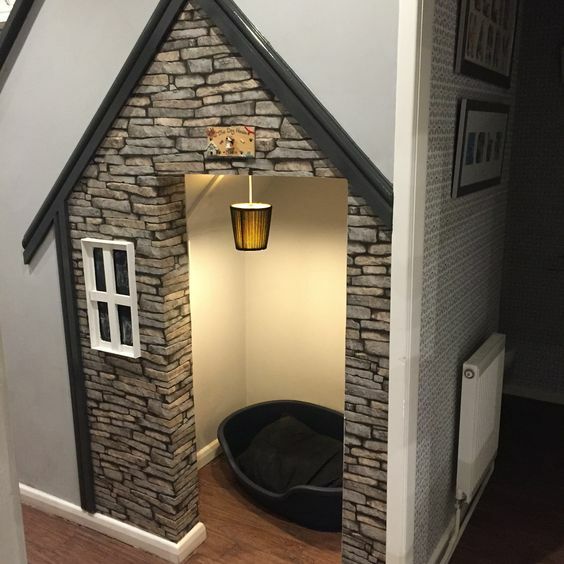 These beds will keep your fur friend happy whilst at the same time give you a peaceful nights sleep knowing your never too far away from your pampered pet. 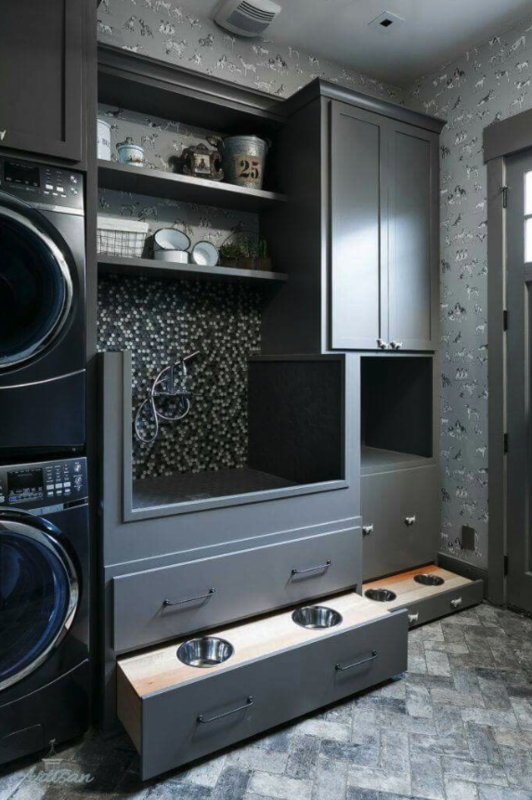 This kitchen idea and the pantry are fantastic. 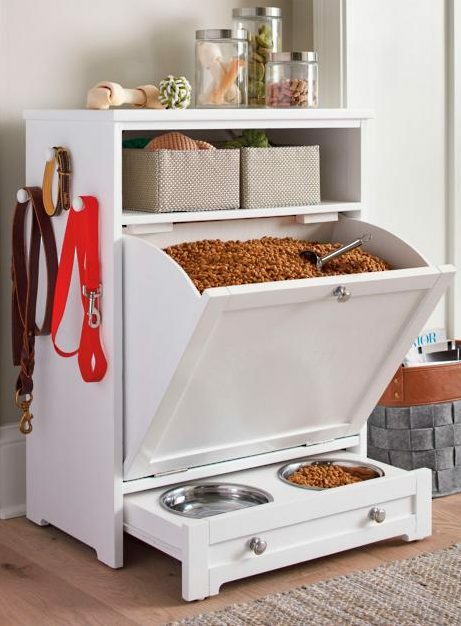 Both have great feeding stations and the pantry can be useful for storage. 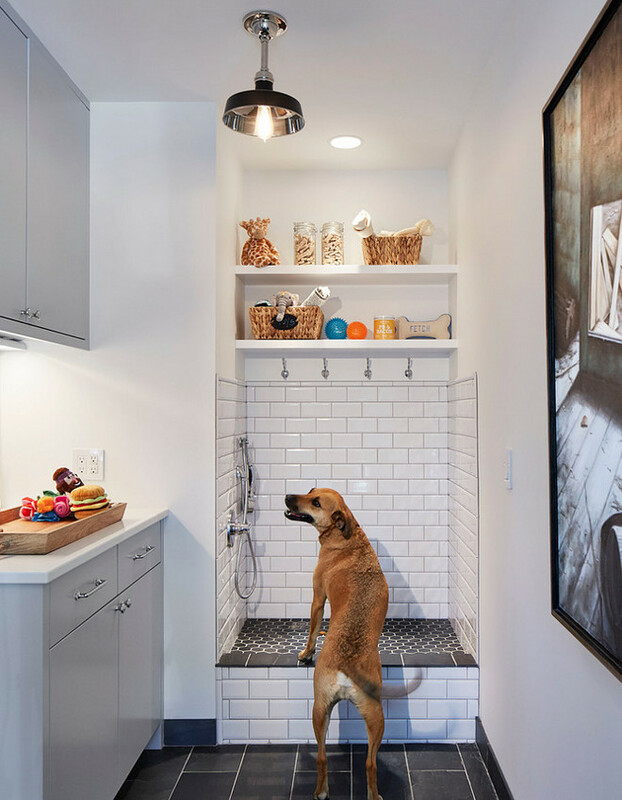 Easy access for your furry friend to get in and out of, great storage for all the essentials for a bath and they even have towel racks. 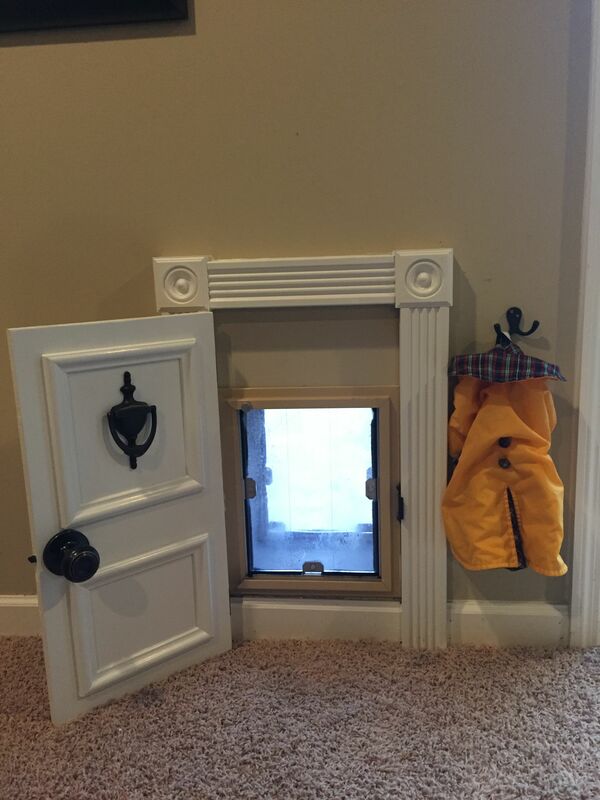 These doggie doors are so amazing. 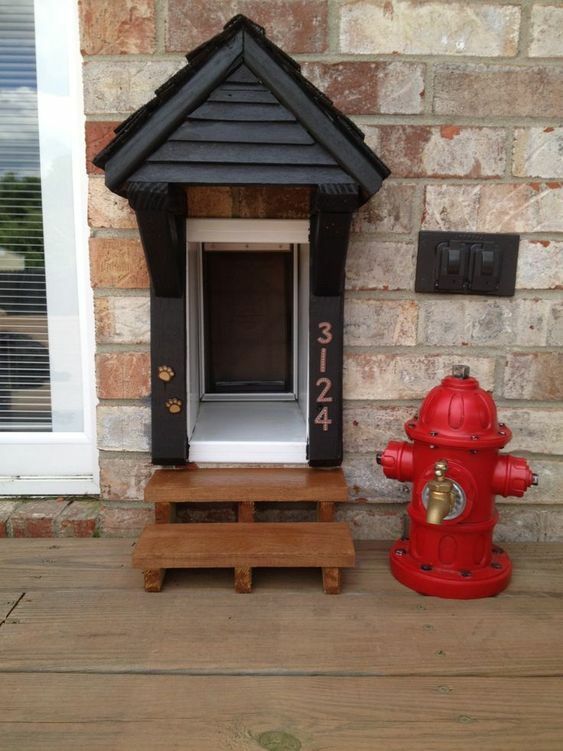 Great access for your furry friend to come in and out as they please, even the cat can use them. There is so many great designs of these doors out there for you to use. 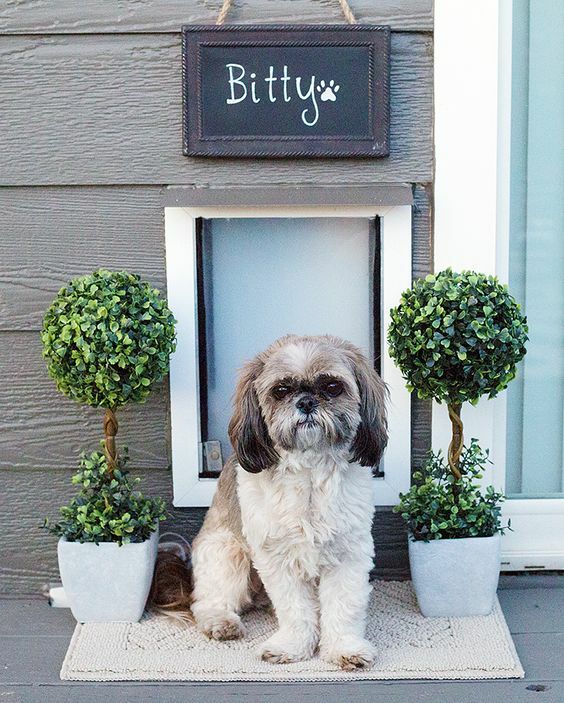 These pet suites are absolutely amazing. 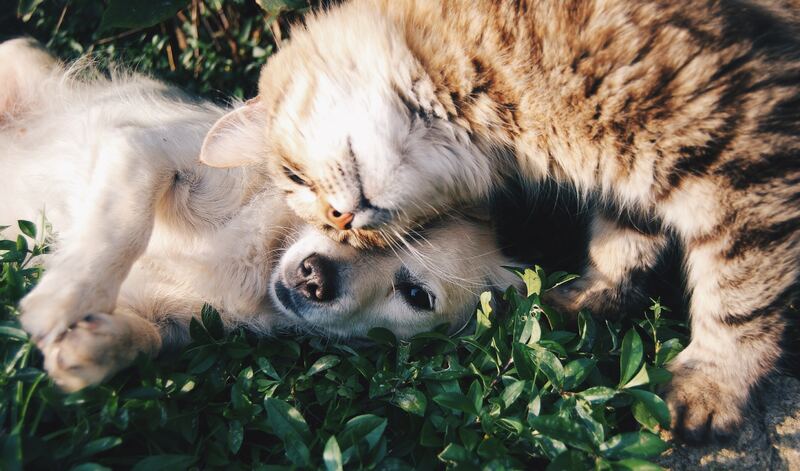 They have anything a pampered pooch and a kind kitty could want, these furry friends are definitely spoilt. 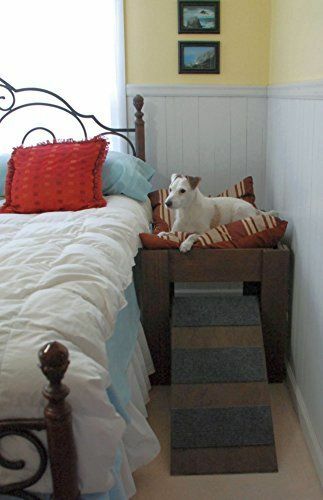 Everyone always wonders how the can utilise the space under their staircase, well for pet lovers the solution is easy. 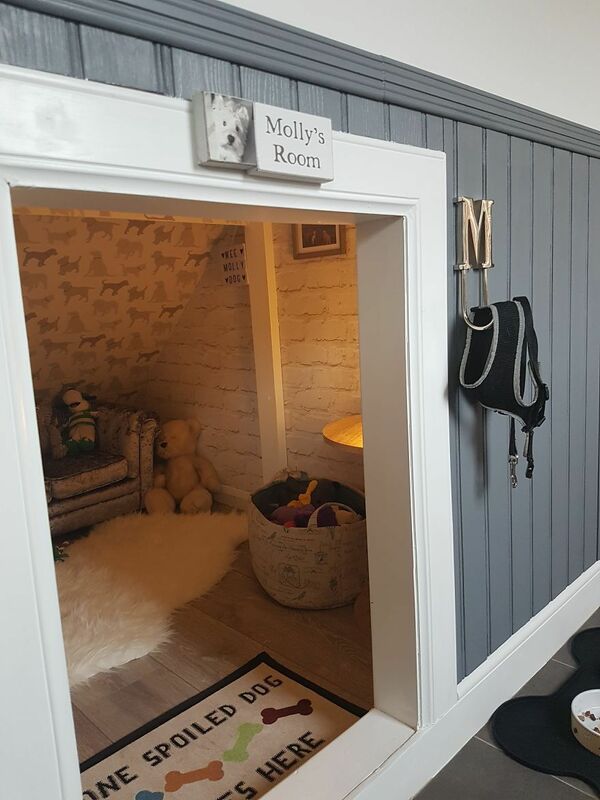 By using these ideas you can use the space under your stairs and give your pet a nice cosy home for them. Having a pet helps with the feel of isolation, when you come home there is always a presence there. Their love is unconditional, and they are a positive distraction as they require a lot of time put into them. WHERE DO WE GET OUR PETS? 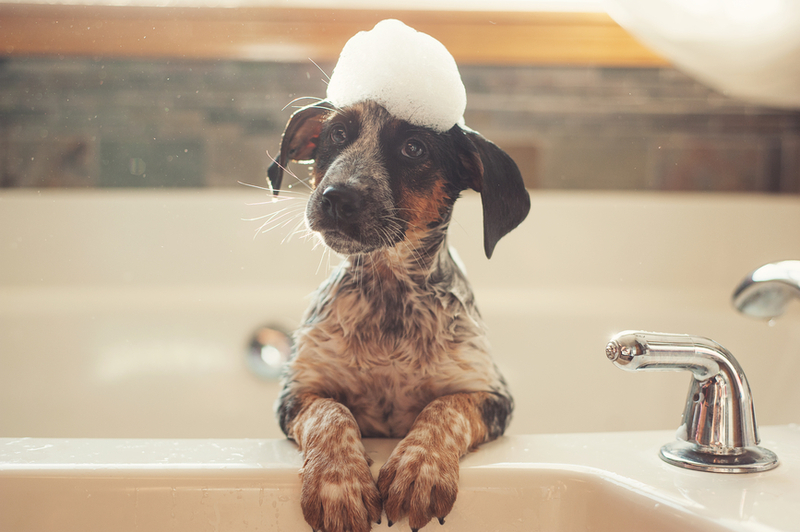 Surveys have found that 36 per cent of Australian dog owners purchased their pets directly from a breeder, 17 per cent acquired them from a friend or neighbour, 16 per cent from animal shelters and only 14 per cent from pet shops. 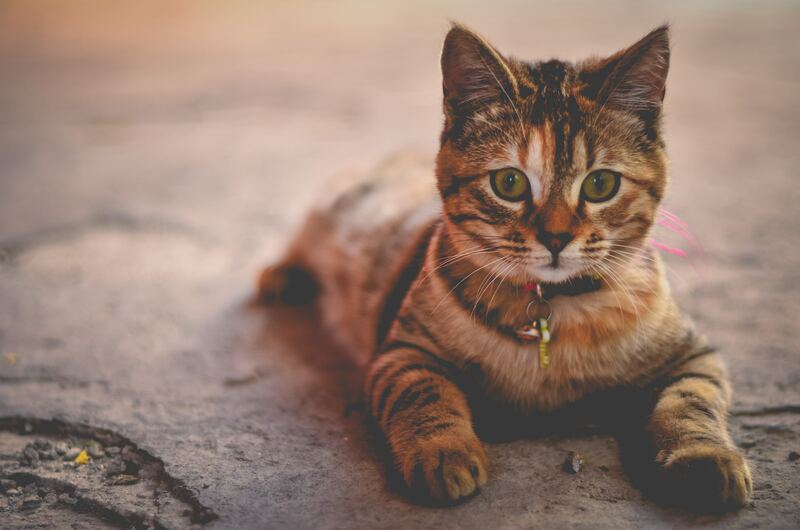 The situation with cats is a little different 25 per cent come from animal shelters, 19 per cent from friends and neighbours and 15 per cent are taken in as strays. 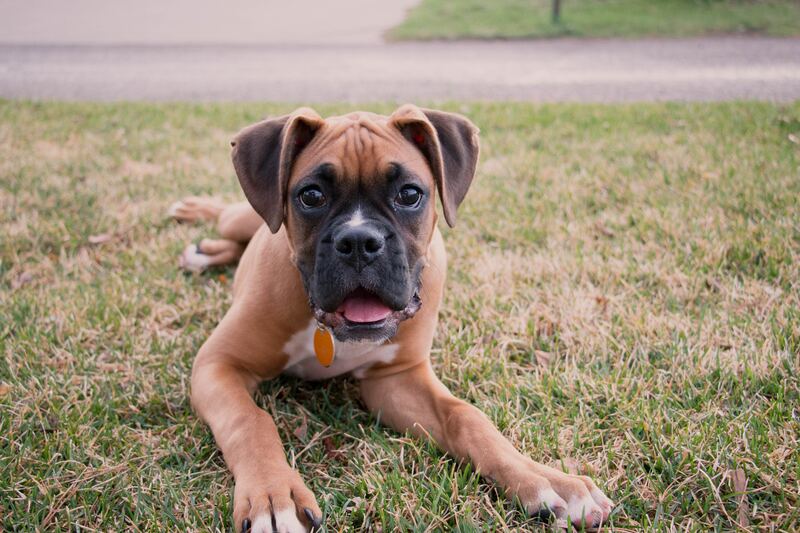 Only 13 per cent were bought from breeders and 10 per cent from pet stores. But wherever our animals come from, they should always go to a home where they will receive all the love, care and affection they need.